The world’s largest Original Newspaper archive, Historic-Newspapers.co.uk, today launches a new Pictorial Newspaper Book to coincide with the celebrations of Her Majesty’s 90th birthday celebrations. 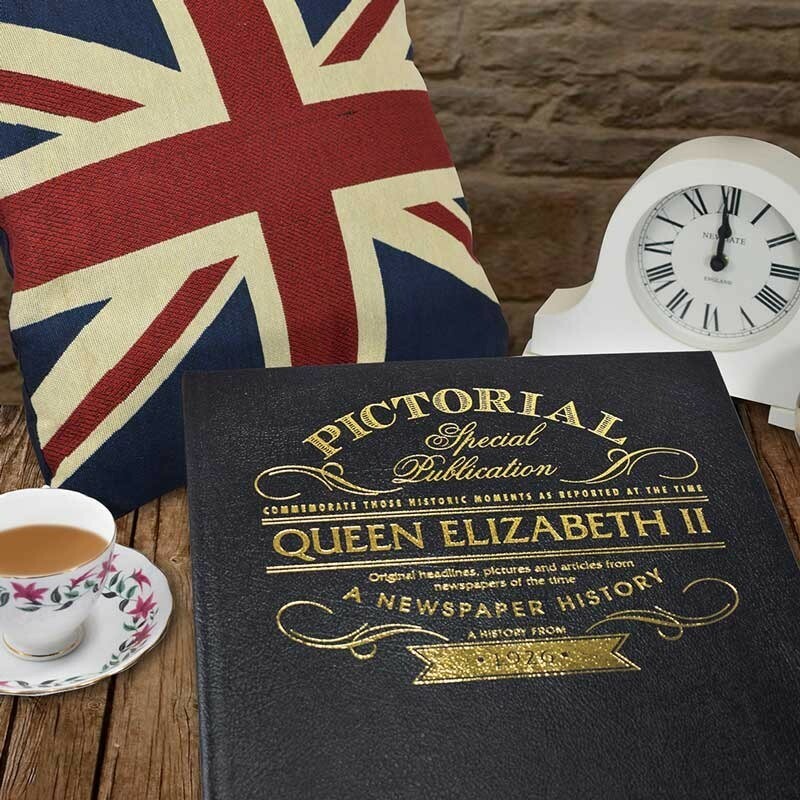 To mark the occasion, Historic Newspapers has released the new Pictorial Newspaper Book to give recipients a fascinating insight into the history of Queen Elizabeth II. Original news reports and images from the Daily Mirror document iconic moments from Her Majesty’s reign, including her christening, which took place on 26th April 1926, up to, and including, coverage from this weekend’s events (11th June 2016). The book documents all the unforgettable moments from Queen Elizabeth II’s time on the throne, including the unfortunate death of King George VI, which forced a young Elizabeth into the public limelight, the Queen’s Coronation ceremony on 2nd June 1953, coverage of her first official tour as Queen, in addition to more public celebrations including her Silver and Golden Jubilee celebrations. The Newspaper Book is presented in a bound, luxury black leather design and features intricate gold embossing on the front cover, with articles appearing in both black and white, and colour (from 2006). The reproduced news reports have been printed onto premium paper to ensure original print quality remains as intact as possible. The book can be personalised with any name and message, and can also feature a embossed gold name on the front cover. The book is currently available for sale on http://www.historic-newspapers.co.uk/ now, retailing at £69.99. Kevin Sears, Ecommerce director at Historic-Newspapers.co.uk, said: “The reign of Queen Elizabeth II has been a prominent talking point in press throughout history, whether it’s through her charity work, public celebrations or as a fond memory as she takes to the stage to give her speech each Christmas. “We wanted to commemorate the Queen’s official 90th birthday by providing Royal fans with a piece of memorabilia which documents all the important moments of her time, presented in a beautifully designed book which results in a remarkable keepsake,” he adds.